Harold Asher was born in 1896 in Bottesford. His parents were James and Annie Asher. 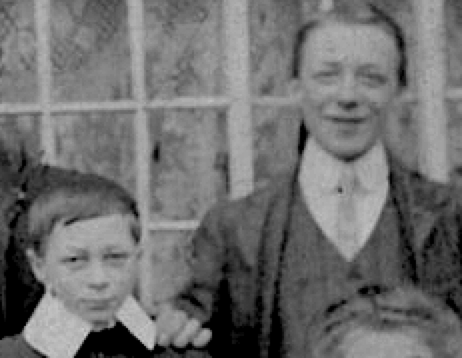 They had four sons George William, born in 1884; Charles Frederick in 1888 Albert in 1893 and Harold in 1896. They lived on Belvoir Road, Bottesford in 1896 . In 1901 the family had moved to Butcher Row. James Asher was still a railway platelayer, George was now a bricklayer’s apprentice, Frederick was an agricultural dayboy and Albert and Harold were at school. In April 1911 the family home was at 23, High Street, Bottesford, James Asher’s employer was the Great Northern Railway and Harold was working for GNR as a telegraph boy. It is remembered that Annie Asher did not want Harold to volunteer. On the Bottesford Methodist Roll of Honour his service is listed as with the Notts and Derbyshire Regiment. He died in 1956 aged 60 in Nottingham. His brother, Albert, died in action on the 24th September, 1918.